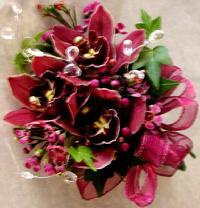 We are elegant Florists in Pittsburgh, PA. Our Flower Shop and Greenhouse of Pittsburgh, PA 15216, Mt. Lebanon, PA 15228, 15243, and Upper St. Clair, PA, 15241 provide gorgeousl flowers and handsome plants arranged specially as you request......for friends, family, weddings, funerals, parties, special events..... Come visit us! 1:00 p.m. Mon.-Fri.; 12:00 p.m. Sat.-Sun. ; Pittsburgh time. Open Sunday, evenings. Deliver daily to Pittsburgh, suburbs. You can also Place Orders, schedule appointments, and chat with us using Email at: tbe@thebotanicalemporium.com. For fastest response, include your telephone number. Flowers and plants say you are wonderful! Flowers, plants, and gorgeous floral arrangements for weddings, funerals, parties, special events,...are created specially for you and your occasion. Our wedding/event planner, Elizabeth L. Holmgren, designs original wedding flowers for all Pittsburgh and beyond. 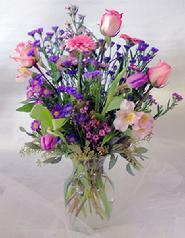 Our talented designers create extraordinary flower arrangements. Fruit, gourmet, and beautiful English garden plant baskets, handsome orchids and bonsai, artificial flowers and plants, indoor and outdoor fountains, and large statuary are available. Balloons, teddy bears, cards, chocolates, angels, and small statuary can be included to Personalize Your Gift . Corporate accounts and gift certificates are available. Founded in 1985, The Botanical Emporium Florist & Greenhouse provides personal attention to all its customers and serves them with elegance and distinction. As professional Pittsburgh Florists, our wedding and event planners, floral designers, plant experts, degreed and experienced, are available free of charge to help you create a special occasion. See the Weddings page. 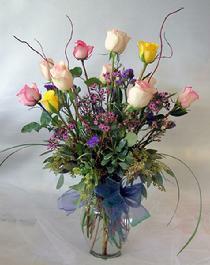 Floral arrangements for centerpieces, buffet tables, etc. can be personalized for religious occasions, birthdays, anniversaries, and other special events to highlight individual interests. See the Receptions and Parties pages. Elegant designs of flowers and plants for corporations, small businesses, hotels, hospitals, and individual homes.... are illustrated on the Corporate Flowers pages. To view a variety of common and unusual beautiful flowers and plants that typically can be found at The Botanical Emporium Florist and Greenhouse, see the Fresh Flower Arrangements and Flowering and Green Plant pages. ©2015 The Botanical Emporium Florist & Greenhouse. All Rights Reserved.